In recent years, the industry has seen an influx of independent game studios like ourselves, thanks to a more readily available set of tools and education. Following right behind, we’ve seen a discussion about how these developers are supposed to find a platform for their projects. To the gaming industry’s benefit, it has been quick to react with specific indie gaming destinations like itch.io and IndieDB, that allow for these developers to show off their product and hopefully make a sale. Even the largest gaming entities understand the importance of indie gaming, as it helps the industry be more accessible and allows for new concepts to be developed at a relatively lower risk. As such, major digital platforms (Steam, Xbox Live, PlayStation Store, etc.) are experimenting more and more with indie gaming, trying to give them a way into their ecosystem without opening the floodgates to millions of half-baked projects. 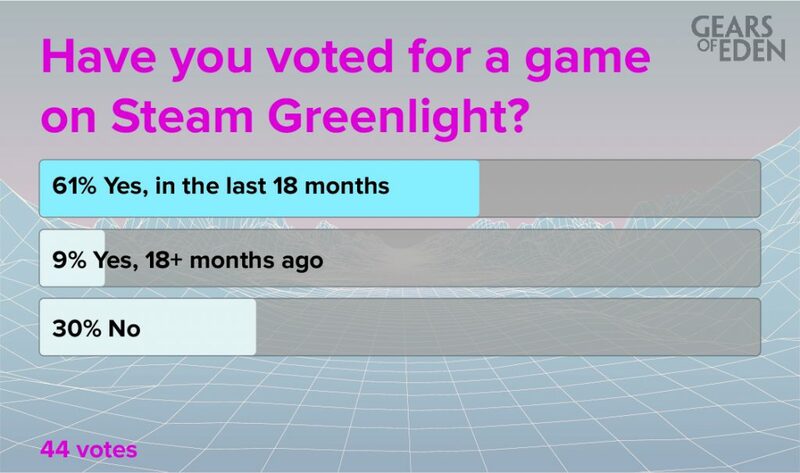 An early attempt at such curation was the Steam Greenlight system, in which users were given the ability to essentially vote on which games would be able to make it onto Steam. 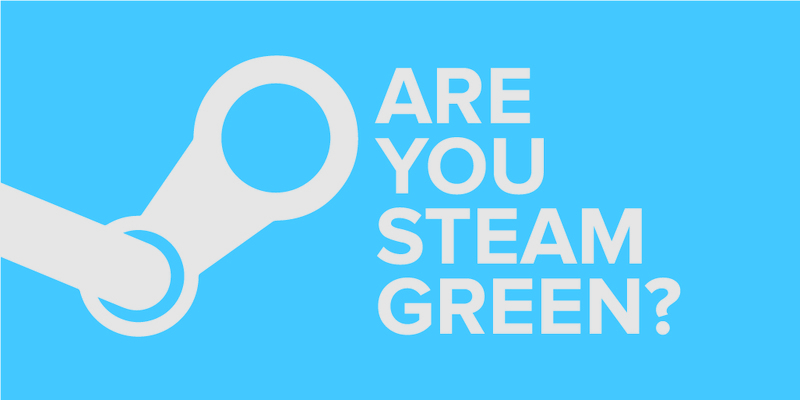 Valve seems to be phasing out the system, but we still wanted to see if our community had much engagement with the service … and it turns out you do! In fact, I find myself somewhat perplexed in that nearly two thirds of our voters said they’d used it in the last year and a half, with another 9% saying they’d used it in the past. That is a shockingly high level of user retention! There’s no doubt that our community is particularly interested in indie gaming, but it’s no small feat to keep a user base engaged with something that offers so little reward for their time invested. Looking at it that way, it makes sense as to why Valve continues to keep the service going even as its replacement was announced two months ago. This … gives us something to think about. Whether your goal as an indie developer is to succeed without the pressures of a publisher or simply to build a work history to get hired elsewhere, nearly all of us want our projects to be seen and succeed. Because of this, it’s only natural for a team to be thinking about this and working on goals throughout the development process so as not to finally finish the game, only to discover nobody knows about you. That’s bad news, in an industry where you’re directly competing with titans like Fallout 4, Overwatch, and Minecraft. Whether this ends up being the route we take or not, I assure you that it’s important to us to do right by Gears of Eden. You know, when it’s finished. That’s all this for this week’s Fan Feedback, but we’ve got another poll up and ready for you to vote on, this time about game difficulty! Are you the sort of MLG player who runs the hardest difficulty just to wake up in the morning? Or maybe you’re a wimp like me, constantly looking at that Easy setting and thinking to yourself, “Hey, nobody’ll know!” Well we do want to know! Come back next week to see what we think about difficulty in Gears of Eden! In fact, if you follow us on Twitter of Facebook, you’ll be able to see that discussion as soon as it’s available, along with our weekly Dev Update, which will be posted in just a couple days. Until then though, thank you for reading and have a great rest of your day!